From the official perspective, Thutmose III ruled ancient Egypt for almost fifty-four years, with the first 22-years of his reign being shared with Hatshepsut, the female pharaoh. However it was during the later part of his undisputed reign as the sole pharaoh when the Egyptian empire reached its largest extent, circa late 15th century BC. 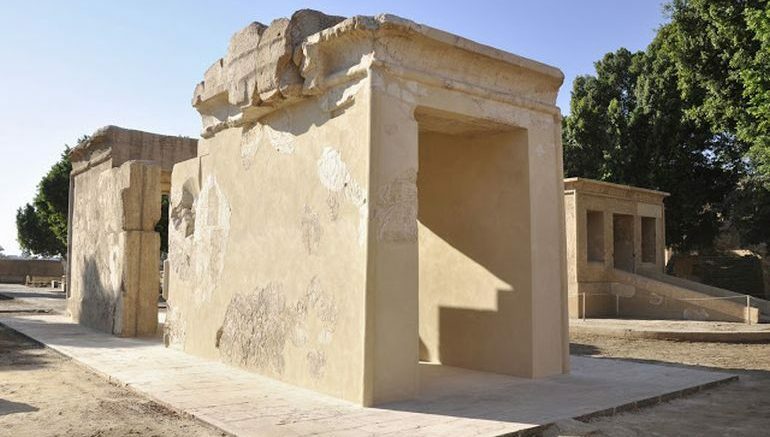 Sometime during this particular epoch Thutmose III constructed his limestone barque shrine in front of the fourth pylon at the Karnak Temple. And now after around 3,500-years, researchers have finally completed the restoration work on the structure. The reconstruction project originally commenced in 2010, but the refurbishment scope still required some delicate modifications, including the need to replace the sections of the ceiling and lintel that were broken into many fragments. So a subsequent restoration project was initiated, and it was successfully achieved by Centre Franco-Egyptien d’Etude des Temples de Karnak or CFEETK (or the French- Egyptian Centre for Karnak Temples Studies). According to French Egyptologist Christophe Thiers, who is also the director of CFEETK, the delicate operation was performed manually with the aid of hydraulic jacks and temporary walls that allowed the lifting of the massive ceiling slab (weighing 7 tons) atop the the side walls of the shrine. Consequently the slab was positioned laterally and thus set in its actual location as the original builders had intended. 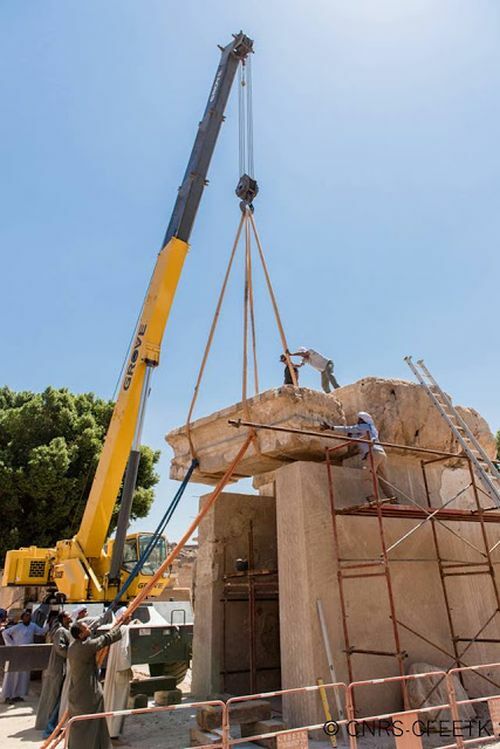 The positioning was then accompanied by cleaning and conservation, and thus the limestone barque shrine of Thutmose III is now ready to be opened to the visitors at the Open Air Museum of Karnak.